Write a formal justification report to an organization making a recommendation to implement a particular product, service, or program. The organization may have a business, governmental, professional, or social focus. The report may focus on a “real” or “made-up” recommendation, but you should direct the report to an actual organization, even if you do not plan to submit the report. The audience within the organization will be whatever level is most appropriate to make a decision on the topic of your report. 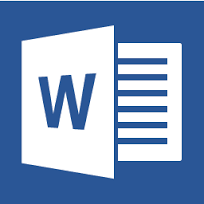 Write a minimum of three (3) single-spaced report pages (not including the table of contents, transmittal form, executive summary, or title page). Organize the reports by section headings. The report should contain relevant and applicable graphics (at least one ). The findings should be based on research, including at least one  primary source and at least three (3) secondary sources. Sources should be credible and reliable (no Wikipedia). The report should reflect a style and format appropriate for business, i.e., single spacing and bullet points are acceptable for the business report. Headings, figures, and appendices should follow guidelines of APA style. All in-text citations and the references page should be cited according to APA style, Sixth edition guidelines.